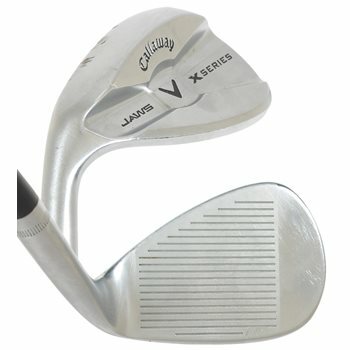 The Callaway X-Series Jaws CC Wedges feature the new Tour CC Grooves that meets the condition of competition rules instituted by the USGA and R&A effective January 1, 2010. The proprietary groove pattern produces enhanced spin for complete control on approach shots into and around the greens. The C-Grind sole along with a classic head design ensure versatlity for the short game while providing superior feel from the soft forged 1020 carbon steel construction.